As always, click in for more detail…An orchid growing in a pot at home. Only nature can serve up beauty. Luxurious tone. Shallow DOF amidst B & W is just about perfect (to me). Wonderful macro Lisa. Just enough to know it is an orchid. Very nice and it has a film-like quality to it. Practice will always help you get to the point you want to be at, but not everyone will take the time to work with new gear – or tqards their vision. 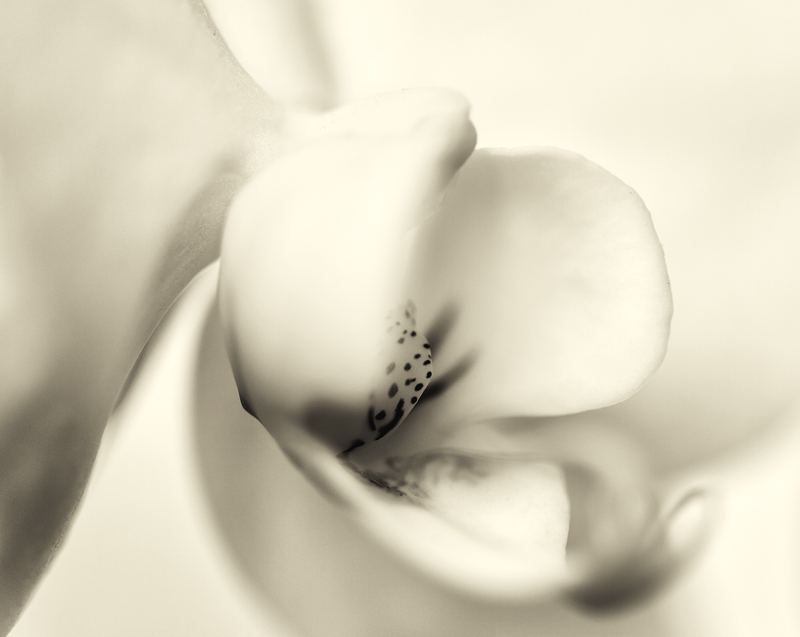 Nice abstract image, I like the way you have got just the right angle to manipulate the orchid with depth of field. Great idea and execution. An unbelievably beautiful image. This alone has made me a follower. I will return to look at more as soon as possible!